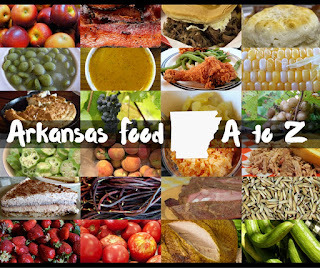 Throughout Arkansas, there are unusual and delicious pies to be found. 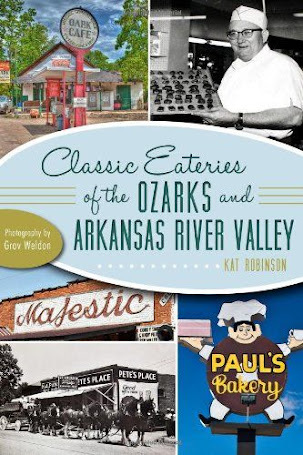 Whether it's Ed and Kay's fabulous Mile High Pie with its thick and lofty meringue, or the burnt sugar pies at Charlotte's Eats and Sweets in Keo, or any of the amazing cream pies from Chip's Barbeque in Little Rock, you're not going to go wrong with pie in Arkansas. 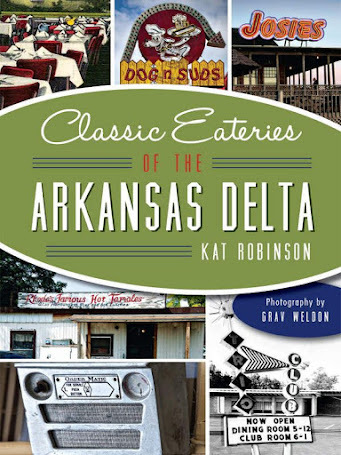 But there's just one place to think of when you're talking about the queen of rural fast food desserts. Just one place to consider when you're talking about the down-home yet delicate and delicious morsel we like to call the fried pie. That place, hands down, is Ms. Lena's Pie Shop in DeValls Bluff. Every Saturday morning, Ms. Lena's kids Vivian and Carl still work up the 800 pies in six great flavors -- Vivian making up the dough and Carl rolling it out, baking from the wee hours until long after the shop opens at nine in the morning. They spend 12 hours a day baking these goodies. And it's worth the drive to go get them. I made my most recent drive the first day of December, waking before seven to get ready and head an hour east from my Little Rock home. I feared the proverbial crowds that might come and swipe them all before I might get a chance to enjoy one myself. When I stepped out of my car at the little house beside Highway 33, just south of Highway 70, I was overwhelmed with the scent of baking pies. No, I wasn't inside -- the smell of fresh baked dough and fruit hung in the air outside the establishment like a tasty cloak of goodness. It was impossible to keep from salivating as I shut the car door and made my way up the step. orders. And while at first it may seem hard to make the decision on what sort of pie you want, it's not that hard once you hear the price. The pies are still just $1.50 -- that includes the tax -- and they're still served wrapped in a napkin. The regular flavors are apple, apricot, chocolate, coconut, and peach -- and the day's special flavor was cherry. I already had a special order from my husband, who loves the chocolate pie, and other orders, too. For $18, I received two big clamshell boxes, slightly taped open. And there's a reason for that. These pies are hot and fresh, and they're still steaming when you get them. That's probably a good reason behind the smell outside. When you get a box, be sure to let them sit partially open in the back seat if you try to take them home. I'd say on the front seat, but that's too much of a temptation. Each pie is a wonder in itself. The chocolate pies are creamy and surprisingly light, with a filling reminiscent of a good meringue pie instead of the pudding that so many places erroneously use. The cherry is a pleasantly light filling with the hint of maraschino that could never have come from a can. Coconut pies are rich and slightly cool in the middle, with big hunks of flakes. Apricot pies are pungently sweet and tasty, like the best preserves. and apple pies are full of slightly crisp tart bites in a creamy syrup. I've been fortunate enough to have Ms. Lena's pies before, so I know about fantastic otherworldly flavors like Pecan and Lemon and Peanut Butter. I've even had the strawberry pies that come along just during a particular part of the summer. And then there's the Woodpecker -- a chocolate pie with a dab of cherry in the middle, named in honor of the Ivory Billed Woodpecker that's supposed to have been sighted in this area (and which remains an object of contention in these parts). Each pie is sealed in a crispy, tender crust that's both fork-tender and light. And amazingly, it's a grease-free crust. No one's sharing that secret! they continue to work on. Zealand, who came over to the States to just look around. Seems he had retired early and wanted to see the world. Vivian says when he came to Ms. Lena's, he asked for a bowl of milk. She asked why, and he told her it was to soak the pie. She handed him a pie wrapped in a napkin and explained how we do it around here -- and he sure caught on quick. He'd inhaled three pies before he left the building! Vivian and Carl came to running the business after the passing of their mother. Ms. Lena Rice was something else. She ran the shop for several years out of her house (that's where the pies are still sold) and had a bunch of regulars who would come buy pies by the dozens. But over the years her health failed, and she wasn't able to do it any more. But before she left this good Earth, she made the kids promise they'd continue the tradition. And so they're still going, still continuing the love she shared with the world wrapped up in that flaky crust. Saturdays are fried pie days at Ms. Lena's, but they're not the only pies. The second best pies you'll find there are still powerfully good. During the week, you can go by and pick up a whole pie for $11 -- a whole selection of different pies that make your mouth water. You can smell those from the road, too. One of the better ideas I've seen around is the Chocolate Coconut Pie that's sold at Ms. Lena's. It's for folks like me who can't make up their minds. One side of the pie is a fantastic coconut meringue, with creamy filling and flaky bits of coconut in both filling and meringue. The other side is smooth, sweet chocolate with a traditional meringue top. If you cut your pie just right, you really can get the best of both worlds. And I would have shown you what the inside of that pie looked like, but I ate it too quick. Well, I had help. But by the time I thought to pull out the camera, nothing was left but a few measley crumbs in the bottom of the pie shell. If you haven't had Ms. Lena's Pies, you are missing out. It's worth taking the scenic route from West Memphis or Little Rock on Highway 70, enjoying the cypress swamps of East Pulaski County or the expanses of farmland from either direction. But if you have to get there in a hurry, take I-40 to the Hazen exit, head south on Highway 11 and turn left on Highway 70. You'll turn right onto Highway 33 once you're in DeValls Bluff, and then you're there. And if you really ask nice, you might get a special order. For that, you'll have to call Vivian at (870) 998-1204. *** UPDATE: The pie shop is open once again. Yay! For more information, call (870) 998-7217. And if you decide to take your pie home and notice it's not as crisp as you might like it to be, just put it uncovered in the refrigerator for a bit. It'll crisp right back up. UPDATE 9/5/17: I keep coming back to this story, thanks to its prominence in earning a little recognition with a nod from Max Brantley at the Arkansas Times. It certainly started an emphasis on covering food. I had no idea that'd lead to all this other stuff. Alas, the old Best Talk Radio podcasts are long gone. But I was checking out the Ms. Lena's Pie Shop Facebook page today, and indeed, it's still going. And here is the very first piece I wrote about Ms. Lena's - back when I worked for THV. Dear Kat, This is candace, aka the lovely young lady that is waiting to take your order... lol... Thank you so much for coming to visit us... We truly enjoyed seeing you! Im am very pleased with the write up you did on us... I know for a fact that my great-grandmother Ms. Lena would be very proud of what my grandmother and my uncle have done to the business... once again thank you for your time and we are so glad you enjoyed the pies!!! Dear Kat, I knew Ms.Lena for many years, she was a really sweet and kind lady, also a devout Christian. Dear Kat,Thanks for doing an article on the pie shop. My father-in-law is Carl Rice. 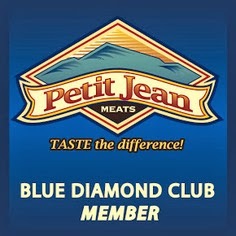 Our whole family loves the pies, we all have our different flavors that we love to eat. I never got the chance to meet Ms. Lena but if she was anything like Carl and the rest of the family I know I missed out on knowing a great lady. You cant get any better then Ms. Lena's Pies. Dear Kat, I am one of many cousins who were fortunate enough to have Ms. Lena as my Aunt. Even though I grew up and still live in Michigan, I looked forward to the yearly trips to Arkansas to visit relatives and of course "sample" my Aunt Lenas fried pies. As you know, they are the best, not unlike the woman whos recipes continue to delight. I am so glad my cousins are able to continue what my Aunt Lena started, they are doing a wonderful job and she would be very proud. Those of you who are lucky enough to live within a reasonable driving distance or happen to be passing through Arkansas should take the time to visit Ms. Lenas Shop in DeValls Bluff. I promise, it's worth the trip. As for me, I'll see you in September. I dont know Ms. Lena personally, but I DO buy a few pies on a regular basis for every holiday/birthday event that I go to! As you already know, she makes the best pies around!!! And eventhough I just discovered her place about 6 months ago, Ive already tried every pie she has on her shelf! I would highly recommend this place to anyone!!!! Dr. T.S. I have had these pies. They are so delicous. A friend brought them back to Michigan from Arkansas a couple of times to us at work. Now if we know she is going Arkansas we send our orders with her for what we want. She freezes them and brings them back to us. They are so good even after being frozen I can only imagine what a fresh warm pie would be like. 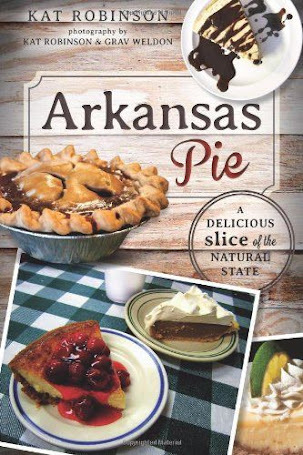 I HAVE HAD THE UNIQUE EXPERIENCE OF VISITING LENA'S PIE SHOP IN DEVALLS BLUFF, ARKANSAS. THIS QUAINT PLACE IS A MUST FOR ANYONE WITH A SWEET TOOTH FOR PIES. IT IS RUN BY THE CHILDREN OF MISS LENA, WHO STARTED THE BUSINESS OUT OF HER HOME. SHE NOW OVERSEES THE OPERATION FROM HER HEAVENLY PLACE ABOVE. 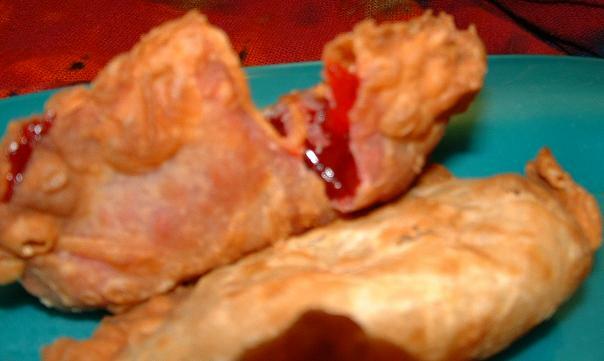 FROM THEIR LARGE PIES TO THE SPECIALTY FRIED PIES THERE'S SOME FLAVOR TO PLEASE EVERYONE. MY PERSONAL FAVORITE IS LEMON FRIED PIE. IT'S GREAT WHETHER IT'S WARM, OR OUT OF THE FRIDGE. THERE ARE SO MANY KINDS TO CHOOSE FROM, YOU MAY HAVE A HARD TIME DECIDING, BUT REMEMBER, ONCE YOU HAVE ONE, YOU'LL BE BACK FOR MORE. Thank you for this. My grandma Rice was an amazing woman. I love and miss her -- so very much. Thank you ALL for your nice comments.